UWindsor acting alumna Amanda Tapping (BFA 1988) is one of six distinguished individuals who will receive honorary degrees during Convocation ceremonies this week. Three UWindsor alumni are among six individuals who will receive honorary doctorates during the University’s Convocation ceremonies this week. David S. Cooke (BSW 1975) will receive an honorary Doctor of Laws degree during the 10 a.m. June 11 session of Convocation. Cooke served as a member of provincial parliament for the riding of Windsor-Riverside for 20 years and was Ontario Minister of Education and Training from 1993 to 1995. Among his many services to education, Cooke has served in a consulting capacity on such educational initiatives as the governance and organizational structure of the Walpole Island First Nation education system; was part of a two-person team providing strategic advice on services and governance issues to the Ontario Principal’s Council; and served as a project leader for the Task Force on Effective Schools in 2001. He served eight years as a member of UWindsor’s Board of Governors—including three years as vice-chair and two as chair, and has served on the boards of such organizations as the Education Quality and Accountability Board, Legal Assistance of Windsor, and the Windsor-Essex Development Commission, and currently serves as co-chair of the New Acute Care Hospital Planning Committee. Among other honours, he has received the Clark Award; the Queen’s Jubilee Metal; and the Queen’s Diamond Jubilee Metal. 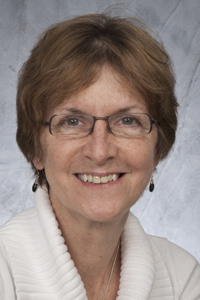 Janet Rossant, a senior scientist in the Developmental and Stem Cell Biology Program and chief of research at Toronto’s Hospital for Sick Children, will receive an honorary Doctor of Laws degree during the 3 p.m. June 11 session of Convocation. Dr. Rossant is a professor in the Departments of Molecular Genetics, Obstetrics/Gynaecology and Paediatrics at the University of Toronto and is actively involved in the international developmental and stem cell biology communities. She has contributed to the scientific and ethical discussion on public issues related to stem cell research and is director of the Canadian Stem Cell Network. She has been recognized for her contributions to science with the Killam Prize for Health Sciences, the March of Dimes Prize in Developmental Biology, the Conklin Medal from the Society for Developmental Biology, and the CIHR Michael Smith Prize in Health Research. Rossant is a fellow of the Royal Societies of both London and Canada, and is a foreign associate of the US National Academy of Science. Her lifetime of achievement was most recently recognized in June 2013, with the Ross G. Harrison Medal from the International Society of Developmental Biologists. 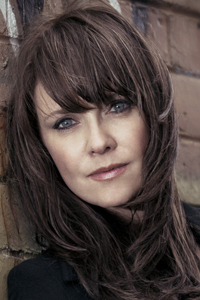 Amanda Tapping (BFA 1988), an accomplished actor and director, will receive an honorary Doctor of Laws degree during the 10 a.m. June 12 session of Convocation. Best known for her 12 seasons as Air Force Colonel Samantha Carter on Stargate: Atlantis and Stargate: Universe, Tapping followed in the role of Dr. Helen Magnus on the television series Sanctuary, a show on which she also earned director and executive producer credits. She founded the all-female Canadian comedy troupe Random Acts and earned a 2007 Canadian Comedy Award for her work in the short film Breakdown. Among other roles, she is now a recurring character on the sitcom Package Deal. She founded the charitable foundation Sanctuary for Kids in 2009 to support charities assisting children in crisis. Tapping has earned four Leo Awards for Best Actress; been nominated for two Gemini Awards and four Saturn Awards and won the 2005 Saturn Award for Best Supporting Actress. She has received the Women in Film’s Woman of Vision Award; the YWCA Women of Distinction Connecting the Community Award; the Jules Verne Award in Paris for her humanitarian work; and was recently offered honorary life membership from the University College of Dublin Law Society. Martin J. (Marty) Komsa (BA 1976), president of Windsor Family Credit Union, will receive an honorary Doctor of Laws degree during the 3 p.m. June 12 session of Convocation. Komsa joined WFCU in1986 as general manager. He served on UWindsor’s Board of Governors in a variety of capacities including board chair and has been an active supporter of the University. He is a patron of the arts and a supporter of numerous healthcare and educational organizations and initiatives. Komsa is currently vice-chair of the Windsor Utilities board of directors and serves on the boards of Enwin Utilities, is a founding member of the Coalition 12 for Entrepreneurial Leadership and belongs to the Windsor-Essex Regional Chamber of Commerce’s Gold Circle Members Program. Among his other community service, Komsa has worked extensively with United Way Centraide of Windsor-Essex County and the Windsor Port Authority. He has received the Queen’s Golden Jubilee Medal; the Clark Award; was an honouree of the Jewish National Fund of Canada Windsor’s Negev Tribute Dinner; and was named Business Professional of the Year by the Windsor-Essex Regional Chamber of Commerce. 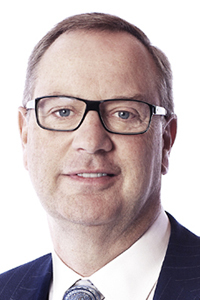 George Cope, president of Bell Canada and BCE Inc., will receive an honorary Doctor of Laws degree during the 10 a.m. June 13 session of Convocation. Under Cope’s direction, the company launched the Bell Let’s Talk initiative, the largest-ever corporate commitment to Canadian mental health, with total funding to date of more than $67 million. Let’s Talk focuses on such anti-stigma programs as Bell Let’s Talk Day and Clara’s Big Ride for Bell Let’s Talk; care and access; research; and workplace best practices regarding mental health. Bell has been awarded the international Freeman Philanthropic Services Award for the initiative and the top award from Excellence Canada for workplace mental health. Cope is a director of BCE and Bell Canada; the Bank of Montreal; Maple Leaf Sports and Entertainment (MLSE); and the Source. He is chair of Bell Aliant Inc.; served on the Premier’s Jobs and Prosperity Council and was chair of United Way Toronto’s 2013 campaign, which raised a record-breaking $117 million. He has been named to the Top 40 Under 40 list and received the Diamond Jubilee Medal for his work on Bell Let’s Talk. Former Chief Justice of Ontario, Hon. Warren K. Winkler will receive an honorary Doctor of Laws degree during the 3 p.m. June 13 session of Convocation. Winkler was appointed Chief Justice of Ontario and President of the Court of Appeal for Ontario in 2007, following 14 years as a trial judge of the Superior Court of Justice. After having served as a judge for more than 20 years, he retired from the bench in December 2013. 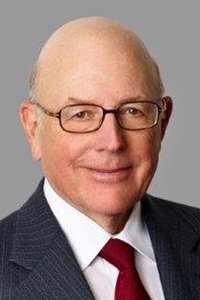 Before his appointment to the bench, Winkler practised law in Toronto and was a founding partner with the labour law firm Winkler, Filion and Wakely. He is a distinguished visiting professor at Osgoode Hall Law School and is honorary chair of its Winkler Institute for Dispute Resolution, established in his name. 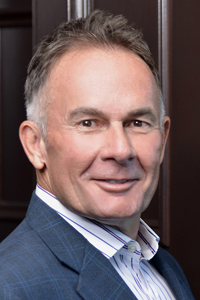 He is the honorary chair of the advisory committee of the Centre for Law in the Contemporary Workplace at Queen’s University and holds honorary degrees from the Law Society of Upper Canada and eight Canadian universities. 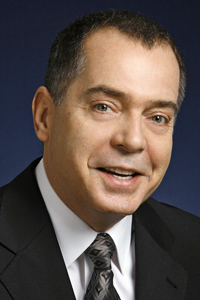 Winkler has received the International Academy of Mediators’ Lifetime Achievement Award; the Ontario Bar Association’s President’s Award and Award of Excellence in Alternative Dispute Resolution; the University of Toronto’s Bora Laskin Award for Outstanding Contribution to Canadian Labour Law; and the Award of Distinction from the Toronto Lawyers’ Association.